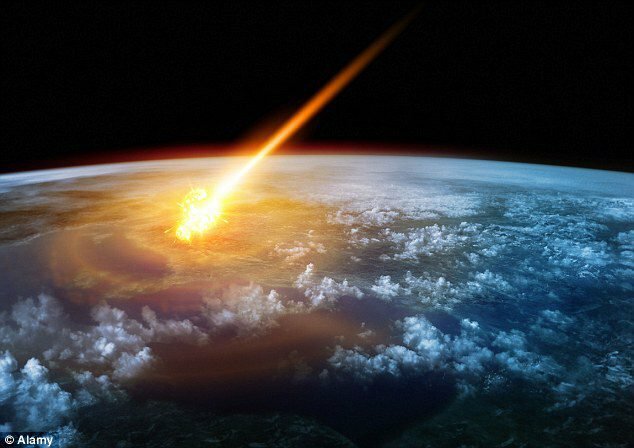 The claim is that examinations of meteorites have found microfossils representing single-celled life, either bacteria or even algae (eukaryotes). However, these claims are not generally accepted by the scientific community, and therefore cannot be used as a solid premise, let alone the rather arrogant claim that it reverses the burden of proof. Steele is referring to this paper by Richard Hoover (the reference to “Murchison” is to a meteorite, not a person). The paper was apparently rejected by legitimate peer-reviewed journals, and so was published in the Journal of Cosmology, which has a reputation for publishing low-quality speculation. Hoover also calls himself a doctor but his degree is unclear. The paper itself reads like it was not written by actual scientists – claiming “unambiguous” evidence, for example. It does not follow the humble style that would be far more appropriate to such a claim. The evidence presented is of small spheres and filaments in the meteorites on microscopic examination. However, Hoover presents no real evidence that the structures are biological rather than minerological. Others examining the evidence notice that the filaments look contiguous with the rock, as if they are extruding from it, rather than embedded in it. The chemical structure is also not typical of cyanobacteria, which Hoover just mentions is “anomalous” but doesn’t address the implications of this. More. One gets the impression that the journal Progress in Biophysics and Molecular Biology, which published Steele et al.’s paper, will be reluctant to start a lively discussion about origin of life again. Steele learned his lesson. Nothing to see here, folks. Move along. From EU research mag: New brain theory “as important as evolution”? If life were a simple random process in the presence of the right environment, Abiogenesis would be easily duplicated as life supporting environments are everywhere on Earth. Organisms from different abiogenesis episodes would not be all related, but instead would probably take different forms – perhaps some based on alternative chemistry, or with different DNA molecule, or with different cell structures, etc. Dying and extinction processes (opposite of Abiogenesis) are easily observed and duplicated, and they generate abundant “almost alive” compounds with the right properties for Abiogenesis experiments – all of which have failed until now. It looks like you haven’t yet heard the “killer” argument of Darwin in support of abiogenesis 🙂 All these almost-alive compounds get quickly eaten by surrounding life. Bingo! If you read again, I am proposing lab experiments starting from “almost-alive”. That kind of kills the “killer” argument when scientists first kill all surrounding life. I consider Richard Hoover a friend. So reading the dripping condescension and outright slander of the man required setting the record straight. To begin with, Richard’s 2011 paper in the “Journal of Cosmology” was accepted in another “legitimate” peer-reviewed journal. When that journal changed editors, they asked him to cut a 80 page paper down to 40 pages, if I remember correctly, and he chose to publish on line, rather than wait another 12 months to see it in print. The on line journal sent it to, you ready for this, 100 reviewers. So anyone who says that it was rejected or not peer reviewed is lying. Second, it is true that Richard does not have a doctorate. The fault lies with UAH, however, an institution that I briefly worked for. Richard has done most of the work on two doctorates–a treatise on General Relativity, and another on making X-ray optics. But what he is most famous for, microbiology, he never officially enrolled in. I beg you to find a PhD who can do all three as effortlessly as Richard. If you are so naive as to ask how a school can misuse graduate students and neglect to give them degrees, I have a long list of names to give you. To Richard’s credit, he does not claim the doctorate, though on occasion a conference chair assumes the title for a talk and Richard doesn’t raise a stink. Perhaps he should, but Richard is not a man to stand on protocol and titles–as most of his critics do. Lastly, claiming that anyone can be a microbiologist and dismissing Richard’s electron micrographs as not biological reveals a profound ignorance of evidence. The world’s expert on cyanobacteria at the Russian Academy said as much. Not to say that there aren’t a lot of profoundly ignorant people who have done just that, but curiously they all are American. And staunchly political. Strange, that unanimity in politics and science. It was a joke 🙂 They don’t have anything of substance to support their claims. Mine was also a killer joke that killed three times 🙂 and now twice again. Let’s kill it one more time just for fun.